Millions of cars are recalled every year, with issues ranging from faulty windscreen wipers to major safety faults that could potentially cause fires. But what do you do if your vehicle is recalled? DVSA safety recalls are fairly common and arise when a potentially dangerous issue is identified with a car. When this happens the manufacturer will issue a national recall for all affected models. How will I know if my vehicle is being recalled? 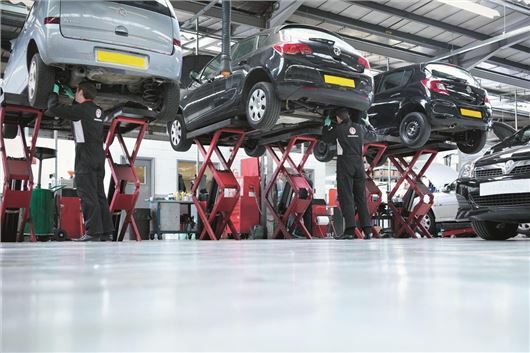 Manufacturer sometimes issue service bulletins, so dealers can carry out remedial work when a car is in for service work. However, when the problem is safety-related, a full recall is the only way to ensure all owners are contacted. The manufacturer will get in touch with the owners of any affected vehicles, using details from the DVLA. If your car needs to be recalled you should get a letter, phone call or email. The correspondence will explain what the issue is, how the manufacturer plans to fix it and who to contact to arrange for any checks or work to be carried out. If your car is second-hand or if your contact details aren’t up to date then the manufacturer might not be able to reach you. If you're unsure whether your car has been the subject of a recall, the best thing to do is to check at the VOSA recall search page. You can also contact a dealership to check if there's anything outstanding for your vehicle. You’ll need to give them your registration details and possibly your Vehicle Identification Number (VIN). This can be found on a plate under the bonnet or sometimes on the bottom of the windscreen. We show the recalls a vehicle has been subject to at the bottom of the Good and Bad section of our reviews. In most cases a recall is issued in anticipation of a problem that might arise – so there’s usually minimal risk. However, the manufacturer should make it clear if there is any danger and, in rare cases, you may be asked not to drive until the car has been fixed. While there are some instances - such as the 2015 recall of Vauxhall Zafira where there was a risk of fire and exploding airbags - that will cause owners concern, for the most part recalls are for smaller fixes to ensure reliability. If recall work needs to be undertaken, then you will need to make an appointment with your local dealer. It has to be a franchised dealer – independent garages can’t carry out recall work. No, recall fixes or checks are carried out free of charge. Dealers might try to get you to undertake other work on your car when it’s in for recall work. Only agree and pay for work that you're happy to have carried out and that you think your car requires. How long do I have to get the work done? If you find out your vehicle needs recall work, it’s sensible to get it fixed quickly. But if, for example, you buy a used car and discover it was meant to be recalled several years ago and wasn’t, then the manufacturer is still obliged to fix the problem for free - no matter how old the vehicle is or when the recall was issued. The length of time it takes for recall work to be carried out depends on the fault in question. It could be anything from a five-minute fix to something that takes several hours. However, the fault may not be recognised for months or even years after the car went on sale. You're also entitled to the use of a courtesy car if the recall work is expected to take a long time. As long as you have the work done, no. Only cars with outstanding recall work might have their values affected. You might find it difficult to sell your car if it hasn’t had recall work carried out on it. What do I do if I’m unhappy with any aspect of the recall process? Recalls are covered by a code of practice. If you’re unhappy with the process you should complain to VOSA or your local Trading Standards. Do they have a certain amount of time to fix a fault? I had a recall for my airbags and I am still waiting on them getting the part in 2 years later. Kelly, I'm no expert but that to me sounds a hell of a long time to wait. You should contact them again. I'm still awaiting my BMW1 series to be fixed. There was a recall a few months ago. They have a back order on parts from Germany. My car could suddenly lose power apparently. Surely this is a huge safety risk ? Shouldn't I be given alternate vehicle to drive in meantime? Just had a recall announced for my BMW 330e. BMW are going to give me a courtesy car, but want to to pay £18 for insurance, or this can be waived, but I have to agree to a £250 excess. Surely as this is a safety recall they should cover the insurance? my bm has been taken away and i have been told its nott safe to drive and the part can take over 2 months. i have been given a small courtesy car which i am not happy with and it comes with a 250 excess. I was told by bmw that they are not obliged to provide.a courtesy car but are doing it as a goodwill. i dont think thats correct. any regulation that i can show them to bring down their arrogance?